(Bloomberg) -- Ivanka Trump is helping manage the U.S. nomination of a new leader of the World Bank, the White House said Monday. President Donald Trump’s daughter and adviser will work with Treasury Secretary Steven Mnuchin and Acting Chief of Staff Mick Mulvaney to nominate a successor to outgoing World Bank President Jim Yong Kim, spokeswoman Jessica Ditto said in a statement. The World Bank board traditionally accepts the U.S. nominee for the position. 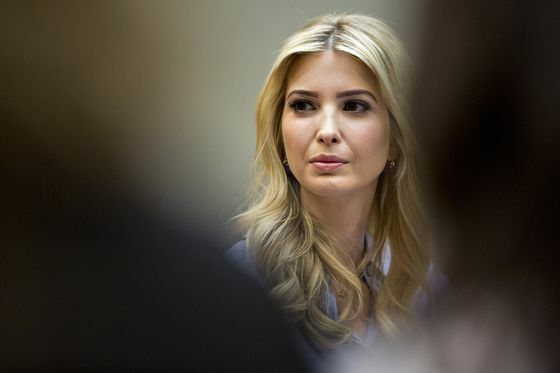 Ivanka Trump isn’t under consideration for the job, Ditto said, calling reports that she’s a contender “false.” She has been involved in World Bank initiatives on women’s economic development and has worked closely with the bank’s leadership over the past two years, which is why she’s working on the nomination, Ditto said. Kim last week announced his early departure from the role and plans to step down as of Feb. 1. The board aims to select a new president before spring meetings in April and has set a March 14 deadline for nominations.